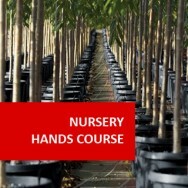 Cutting Propagation course online. Become an expert at cut flower growing. Cut flower growing has experienced rapid expansion in recent decades, resulting in increased demand for training in the skills and knowledge required by this industry in increasingly affluent countries. 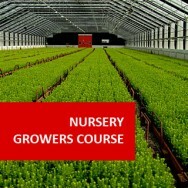 This course provides a thorough basic training for the commercial cut flower grower. Treatments (eg. basal heat, mist, tent, etc), testing rooting, etc. 7 Setting up a propagation area. Watering methods (mist, fog, capillary etc), heating, etc. 8 Management of cutting crops. Estimating cost of production; Keeping records, etc. Establish an area near where you live that can be used for the raising of cuttings ,It doesn't need to be a greenhouse, just a sheltered place where you can raise the cuttings you will be asked to grow for this course. Select ten different plants that can be grown by stem cuttings. Practice preparing different types of cuttings until you feel you can do this well. Place samples of your cuttings in a propagating mix and place in the propagation area. Keep the mix moist and observe the behaviour of the cuttings. (eg. does it put on new leaves? Do changes in temperature effect growth? Do any cuttings die? etc. )Make notes of your observations. You will be asked questions about your results later in the course. Prepare leaf cuttings for five different plant species. Prepare root cuttings for five different plant species. Prepare bulb cuttings for five different plant species. Place samples of cuttings in a propagating mix. 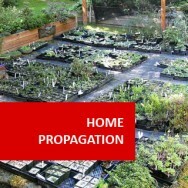 Visit three plant propagation nurseries and see if you can find out where they obtain their propagation material. Test soil samples and name them. Go to your local nursery and/or garden supply and find out what rooting hormones they sell. See if you can discover what chemicals the products contain. Visit three different commercial greenhouses. 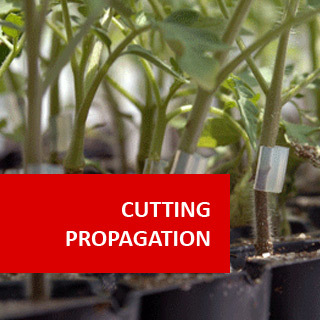 Prepare a pot of cuttings and estimate the cost of production for each cutting produced. You will always improve your success in cutting propagation, if you use the right equipment and materials for the job. Stock plants are those plants from which you take your cuttings or other vegetative material (e.g. bulbs, layers, divisions). Stock plants are frequently the most under-rated aspect of vegetative production. Your cuttings may have a lower rate of success. Your cuttings may be slower to form roots. You may transmit pest or disease problems from your stock plants to other plants in your propagation bed or greenhouse. Your cuttings may not develop as strong a growth as they might otherwise. Plants free of disease and pests. Plants which are true to type. The stock plants need to be correctly identified and clearly labelled. Plants which have been grown under preferred conditions. Plants which have been growing well. Plants which have been adequately fed, and are free from signs of any nutrient deficiency or leaf burn. Selection of a 'true-to-type' cultivar is something which may require the expert knowledge of a botanist, a taxonomist or a horticulturist. Clonal selection, practised in some countries, involves careful selection of one plant of optimum quality and type. 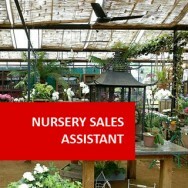 All stock plants are then propagated from this one parent plant. Is it very easy, of average ease or difficult? Very easy to propagate plants may bring a lower wholesale price, and their supply in the marketplace might be greater. Difficult plants may be more costly to produce, and more risky to get a profit from unless you have better than average skills. Can it always be purchased in the form you want it (i.e. is seed or tube stock of the plant available for purchase). 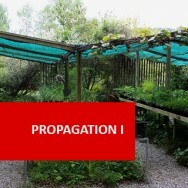 If the propagation material is to be imported you will need to consider quarantine restrictions. Some plants can be ready to sell within months, others take many years. Plants that can be produced and sold quickly will generate income quickly. Do you have the right buildings, propagation equipment and other facilities to grow the particular plants under consideration? Do you have the money and the space to provide those facilities? What plants are most suitable to grow in your climate? 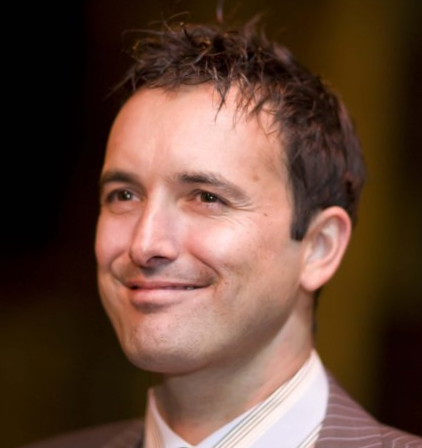 It is always more efficient to work with the environment rather than trying to modify environments. Transport is costly, and can be risky. Don't try to do what you are not skilled to do. Someone with more or specialist skills will probably do it better and cheaper. Stock Plants Must Be Labelled CorrectlyAlways cross-check the spelling with a reputable publication - such as the Royal Horticultural Society Dictionary or Hortus. Stock plants should be planted and maintained in the very best conditions. Aspect, light conditions, soil type, etc. should be considered carefully. Avoid areas that have been used in recent times for any form of crop production, particularly if crops grown in the area are in any way related to the stock plants you wish to grow, or the pests and diseases that are common to the crops that were grown are likely to be problems also for your stock plants. Any stock plant area should be cleaned thoroughly before planting. Remove all weeds and rubbish from the area. Stock plants should be kept apart from the main production area of a nursery, so that disease or pest problems in the nursery can be stopped before they infect the stock area. Pruning may be necessary to control the type of growth as well as the size and shape of the plant. Pruning a few months prior to taking cuttings can stimulate more growth of the type which is best suited for cuttings. Feeding should be adequate, but be careful ‑ too much nitrogen can stimulate too much soft growth. Irrigation is important, particularly during the main growing season. Some types of plants (e.g. those grown from hardwood cuttings) may require very hard annual pruning to encourage suitable cutting material to develop for the next season.